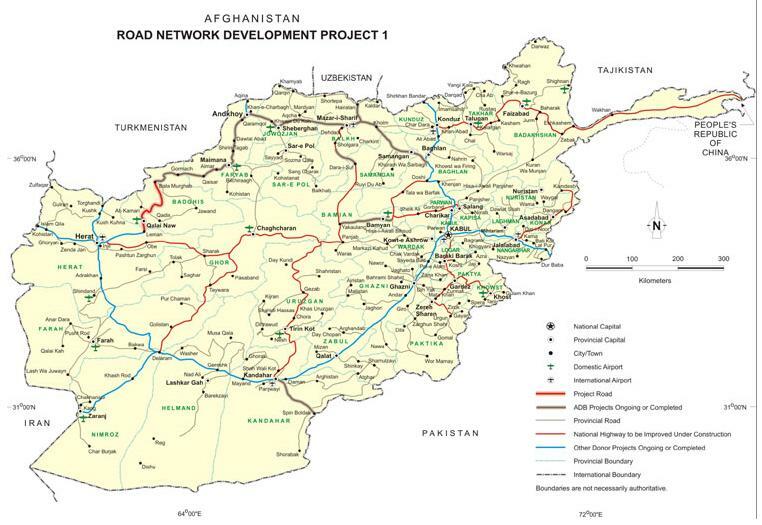 McClatchy recently had an interesting report on the importance of roads in counterinsurgency. It’s lengthy but well worth the time. Two hundred U.S. troops rumbled into a key Taliban stronghold Wednesday in a major operation to stop insurgents from infiltrating the Afghan capital from the south and to clear the way for the first sustained international aid effort in this remote valley. Supported by about 200 Afghan soldiers and their French army trainers, the 200 U.S. soldiers encountered no resistance. But the locals’ reactions to their arrival ranged from skepticism to hostility. “Down To America” dabbed in whitewash greeted the U.S. column as it entered the Jalrez Valley from the U.S. base in Maydan Shahr, the capital of Wardak province. Icy-eyed villagers stared as towering MRAP armored trucks and other vehicles towing trailers, generators and guns, protected by two helicopter gunships and two A-10 “tank-buster” jets, plowed parts of the valley’s main track into knee-high furrows of dense mud. The convoy halted traffic for hours and churned slowly through the main bazaar twice, filling the crisp winter air with choking clouds of diesel fumes. U.S. officers contend that the valley, about 50 miles south of Kabul, is under firm Taliban control and that the guerrillas enjoy strong support among the district’s ethnic Pashtuns, who constitute 30 percent of the Jalrez District’s impoverished population of about 66,000. “This is where key leaders of the Taliban are located,” said Lt. Tyjuan Campbell of Apache Company, 2nd Battalion, 82nd Infantry Regiment, 3rd Brigade Combat Team of the 10th Mountain Division. U.S. and French officers said Taliban explosives experts produce roadside bombs and suicide vests in the valley. The insurgents also use the area to infiltrate Kabul and launch attacks, stealing through the mountains on narrow tracks and goat paths. Campbell conceded that the U.S. force made no friends with its two-way, three-hour, fume-belching grind through the main bazaar’s narrow lane. “I’m pretty sure they got quite upset. We rolled right through there and rolled right back again,” Campbell said as the sun set and the biting cold intensified. The main force’s long column of vehicles was supposed to drive the 15 miles to the Jalrez Bazaar at around 40 mph. But a partially completed Chinese-built paved road gave way to a rutted, waterlogged track that forced the armored vehicles to slow to less than 10 mph at some points. The convoy took four hours to reach the main bazaar, passing the abandoned, French-built agricultural center where it was supposed to establish a base. Inside the bazaar, the U.S. trucks and Humvees idled for more than 45 minutes. Men crouched on the verges, and women wearing full-length burqas and cradling infants hurried by. After the troops realized that they’d passed the agricultural center, the convoy had to turn around on the narrow track. The return journey took three hours. The situation looks bleak at this point. So what might be able to turn it around? But Ahmad said many residents would reconsider their views if the Americans paved the track. So in addition to potentially being a game-changer with the sentiments of the population, do roads help the security situation? We’ve posed this question before, and the answer appears to be unequivocally that it does. “I can’t tell you how important roads are,” said Colonel Pete Johnson, the commander of U.S. forces in southeast Afghanistan, where development lags central and northern areas and paved roads are minimal. “If we pave roads, there’s almost an automatic shift of IEDs to other areas because it makes it so much more difficult for the enemy to emplace them … Roads here mean security,” he told Reuters in an interview last week. So build them roads. But don’t leave, because the insurgents will take them over, use them for transit and checkpoints, and defeat their intended purpose. The insurgency must be defeated. Win the population in order to develop an avenue into the heart of the insurgents. The next time you swear at the snow on the roads as you’re driving to work, remember this. 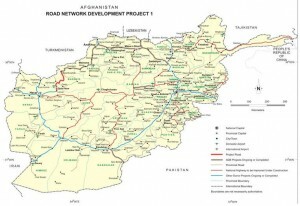 Unlike Iraq, Afghanistan is at a state of development where the construction of roads is a significant player in counterinsurgency due to the creation of avenues of movement, interdiction and access to the population. David Kilcullen recently wrote about this at the Small Wars Journal Blog. It is a detailed look into this aspect of counterinsurgency and well worth the time to study it, but only a small portion is reproduced below. On the face of it, road-building appears to be a generally-recognized form of force projection and governance extension, hence the extreme frequency of its historical use by governments, colonial administrations, occupying powers, and counterinsurgency forces through history. It is also worth recognizing that there is little that is specifically American (or Afghan) about the engineering aspects of the approach described above. But the effects accrue not just from the road itself, but rather from a conscious and well-developed strategy that uses the road as a tool, and seizes the opportunity created by its construction to generate security, economic, governance and political benefits. This is exactly what is happening in Kunar: the road is one component, albeit a key one, in a broader strategy that uses the road as an organizing framework around which to synchronize and coordinate a series of political-military effects. This is a conscious, developed strategy that was first put in place in 2005-6 and has been consistently executed since. Thus, the mere building of a road is not enough: it generates some, but not all of these effects, and may even be used to oppress or harm the population rather than benefit it. Road construction in many parts of the world has had negative security and political effects, especially when executed unthinkingly or in an un-coordinated fashion. What we are seeing here, in contrast, is a coordinated civil-military activity based on a political strategy of separating the insurgent from the people and connecting the people to the government. In short, this is a political maneuver with the road as a means to a political end. The Captain’s Journal left the following short comment to this article. Very interesting, and thanks for your thoughts. I especially like the idea of using roads for force projection (easier and quicker transit for forces, easier presence with the population, visibility, etc. ), and in this way, roads seem to have become a force multiplier. Of course, VBIEDs are an issue involved with roads that would not otherwise be if the roads weren’t there (which is certainly not an argument for not having the roads). I would like to know your thoughts on dealing with the problems such as VBIEDs that are unique only to roads. Also, in spite of the difficulty of emplacing roadside IEDs, they still do as reports indicate. Following up on this concern, from a Reuters report, it makes a difference how the road is constructed. Spend 30 minutes talking to a U.S. military officer in Afghanistan and chances are he or she will mention one factor as crucial to the stability of the country: roads. Geographically challenging, with vast desert plains to the south and soaring mountains in the Hindu Kush to the north and east, Afghanistan is remarkably devoid of proper roads given its size and a population approaching 30 million. There are just 34,000 km (21,000 miles) of useable roadway in the country, of which less than a quarter is paved, according to the CIA World Factbook. By comparison, there are about 10 million km of paved roads in the United States. Better roads are essential not only for the economy — so that farmers and merchants can get produce to markets more easily and importers can bring vital foodstuffs into the landlocked country — but also for security, since police and the army can get more quickly to remote, unstable areas. 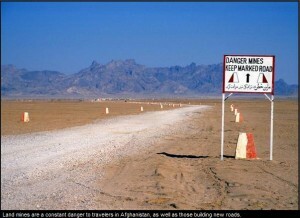 Paved roads also make it much harder for the Taliban to plant improvised explosive devices (IEDs) — nearly 750 of which detonated across Afghanistan last year, causing hundreds of deaths. Planting them on pot-holed, dirt tracks is easy. The Reuters report concludes with an assessment of the inefficiency of the process used to contract and build the roads, as well as lack of international funding. But the report on roads by Col. Johnson tells us that for the time being, dirt roads mean IEDs while paved roads mean a shift of tactics or forces elsewhere due to the difficulty of emplacing IEDs into pavement. In the future we might expect the insurgents in Afghanistan to become more efficient at roadsidebombs like their counterparts in Iraq, but for now, UAVs, patrols, and other tactics will be used to find those who emplace the IEDs, which after all, is the root of the problem. The chase must continue.